Veneer created by Ryan Martinson is an eye ctaching high resolution letter press that has been hand-crafted to perfection. 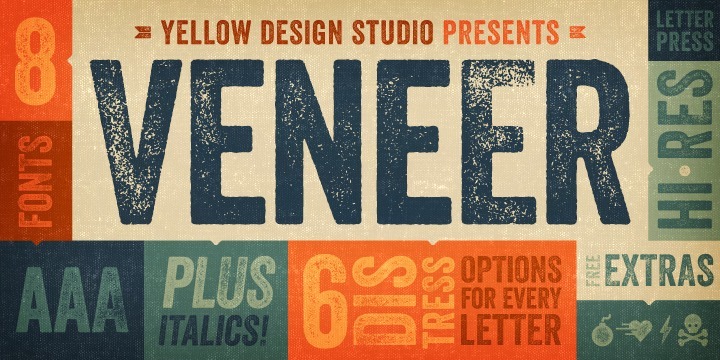 This font is vintage and genuine combined with a dash of grunge. The beauty of this font lies in its capability of getting customized with about 6 marvellous distress options for each letter. The font is incredibly detailed and looks impressive even at very large sizes. This is not all! You can expect a matching set of super cool extras with it for free!